Jump the queue with exclusive access to a sneak preview of our new Spring Collection in Day 3 of our 18 Days of Christmas Deals. 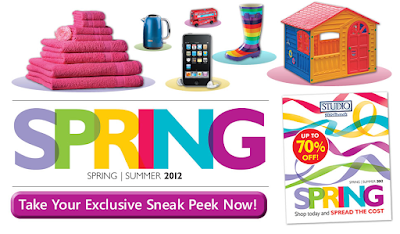 It's bursting with superb bargains and great value ideas for you and your home. Plus, be the first to get your hands on the latest clothing & footwear, what better way to start the New Year than with a new wardrobe? Packed with amazing ideas for the whole family, this opportunity is not to be missed!